People are curious. They poke their noses into the business of others and ask questions they shouldn’t be asking. It’s just human nature. That’s why it’s important for dermatillomania sufferers to be prepared to answer questions when people notice symptoms of their mental disorder. Especially during summer season when skin is more exposed, having a prepared answer to common questions can reduce awkward tension, anxiety on the part of the sufferer, and can help educate the questioner on dermatillomania so they don’t put a less prepared sufferer in an uncomfortable situation in the future. Picking Me Foundation Founder and CEO Lauren McKeaney, who has battled dermatillomania for 27 years, and Picking Me Foundation intern Alyssa DeBock who also has suffered from dermatillomania for a number of years, offer advice on how to approach common questions and comments dermatillomania sufferers may face this summer. To some degree, just about everybody picks at their scabs, pops their pimples, and scratches at their skin. However, there’s a major difference between occasionally doing it compared to doing it habitually to the point where picking affects quality of life. The former constitutes a bad habit while the latter constitutes a serious, life-pervasive mental disorder in need of extra attention. 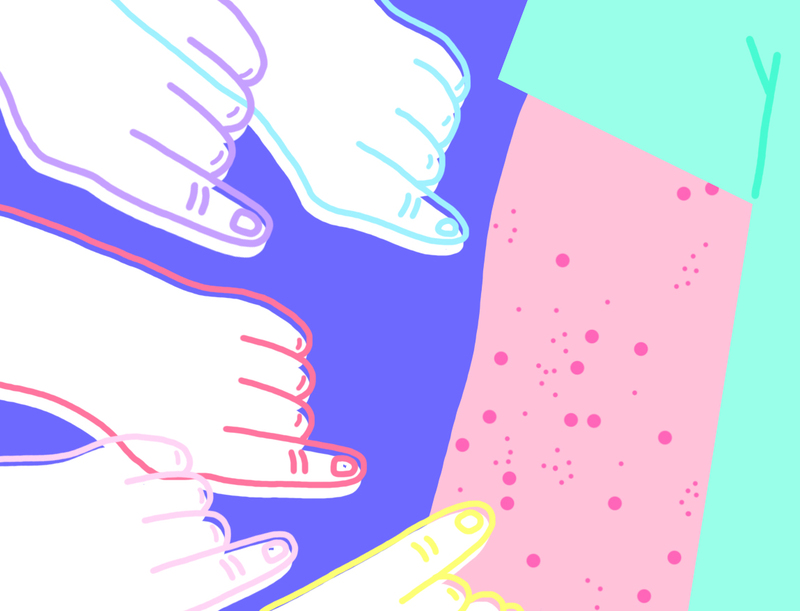 When non-dermatillomania sufferers place their skin picking in the same category as sufferers, it compartmentalizes all skin picking as a normal occurrence and robs the disorder of the serious attention it deserves. How then should sufferers proceed when people claim that “oh, I do that too”? The under 30 percent remission rate for sufferers of this mental disorder should tell you all you need to know about how “easy” it is for them to just stop picking. It’s a very offensive question that reeks of ignorance. How then should dermatillomania sufferers approach answering this question? Variations of this question are probably the most common queries dermatillomania sufferers receive, and they often stem from a place of curiosity rather than one of malicious intent. Well-intentioned friends, medical professionals, parents, and other loved ones will often assume that a sufferer has an acne breakout, chicken pox, or severe bug bites. They want to help out, but don’t even understand what they are helping out with. For McKeaney, she used to go along with whatever people were accusing her of having. Her trip to Mount Kilimanjaro became more about all the mosquitoes she encountered on the trip (she didn’t, she just went along with somebody who thought her picking was a result of bug bites), than the life-changing experience of pushing past her physical and mental boundaries and reaching the top of the mountain. Similarly, a connection with a groupie gave her the opportunity to tour with Willie Nelson in Hawaii while she was in high school. Her groupie friends thought she was a “badass” because they believed the marks on her skin were a result of her holding a burning cigarette against her skin the longest in a contest. She went along with the story. But as she’s become more self-accepting and self-perceptive of her condition, her strategy has changed. Own your condition and use the question as an opportunity to tell all or some of your story. 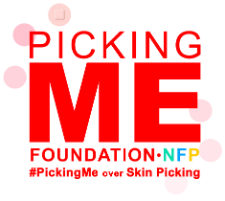 Self-confidence breeds self-acceptance and there’s no better time than the present to begin #pickingme over picking me. When your friend is acting like an idiot, you may jokingly ask them if they are on drugs. However, asking if or assuming that a dermatillomania sufferer is on drugs purely based on what their skin looks like is rude and offensive and isn’t funny at all. Yes, self-harm through skin picking and/or hair pulling is a common reaction to the effects of drugs such as methamphetamines, cocaine, and heroin. However, just because a person picks at their skin doesn’t mean they use illicit drugs. That is the root of this misconception as those with dermatillomania often get accused of being drug addicts. “I was accused of using meth, before I even knew what meth was,” McKeaney said. Although it’s an offensive question, maintaining composure is paramount. Either ignore the question or use it as an opportunity to educate somebody on your disorder. Remember, being prepared with answers to these questions beforehand is actually a form of self-care.